It’s no secret that getting a good night’s sleep is beneficial. Teens require 8-10 hours of sleep every night. This can be difficult to achieve due to many factors. For one thing, the adolescent brain is still in development which impacts their circadian rhythm (our biological clock); by the time melatonin (sleep hormone) kicks in, it is usually pretty late (11:00 pm). Watching TV, and using electronic devices also stall the melatonin release. To be fully healthy, there are multiple factors that can play a role. One factor that can’t be ignored is sleep. 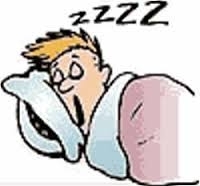 If you are one who suffers with sleep issues, the best way to deal with it is to get natural sleep help. If at all possible, establish a nightly routine prior to bed time that allows for relaxing before hitting the hay. Avoiding stimulants such as caffeine, exercise, spicy food within a couple of hours of bed, in addition to having a cool and dark room and sticking to a sleep and wake (get out of bed) schedule will promote good “sleep hygiene” practices. If you want your children to get the best sleep at night, you should consider buying one of these best mattress ever. Teens, did you know that a lack of sleep allows you to get more pimples? It can also cause you to eat too much or choose junk food like sweets and fried food. You have probably experienced being short-tempered and grouchy with your friends and family when you have not gotten enough sleep-definitely an unpopular behavior. Driving while drowsy is dangerous, it is equivalent to drunk driving, resulting in over 100,000 crashes each year.